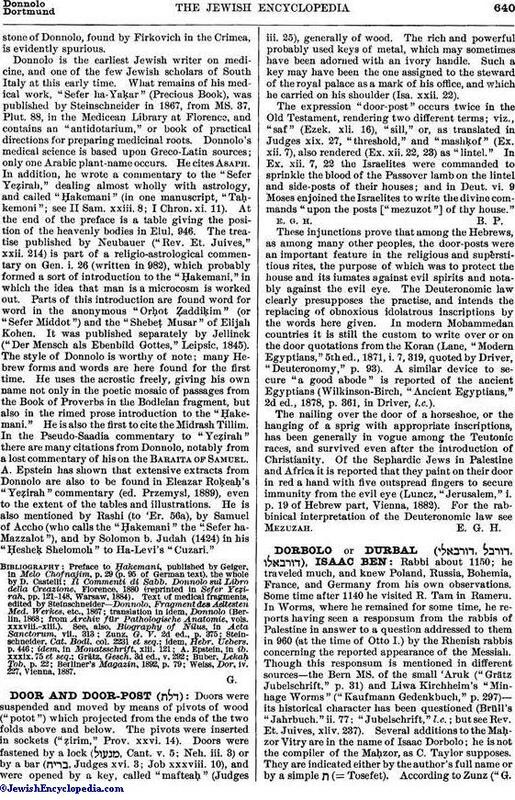 Rabbi about 1150; he traveled much, and knew Poland, Russia, Bohemia, France, and Germany from his own observations. Some time after 1140 he visited R. Tam in Rameru. In Worms, where he remained for some time, he reports having seen a responsum from the rabbis of Palestine in answer to a question addressed to them in 960 (at the time of Otto I.) by the Rhenish rabbis concerning the reported appearance of the Messiah. Though this responsum is mentioned in different sources—the Bern MS. of the small 'Aruk ("Grätz Jubelschrift," p. 31) and Liwa Kirchheim's "Minhage Worms" ("Kaufmann Gedenkbuch," p. 297)—its historical character has been questioned (Brüll's "Jahrbuch." ii. 77; "Jubelschrift," l.c. ; but see Rev. Et. Juives, xliv. 237). Several additions to the Maḥzor Vitry are in the name of Isaac Dorbolo; he is not the compiler of the Maḥzor, as C. Taylor supposes. They are indicated either by the author's full name or by a simple ת (= Tosefet). According to Zunz ("G.S." ii. 32), Isaac's father is identical with the correspondent of Rashi and the martyr of the First Crusade of the same name; but this is chronologically impossible. 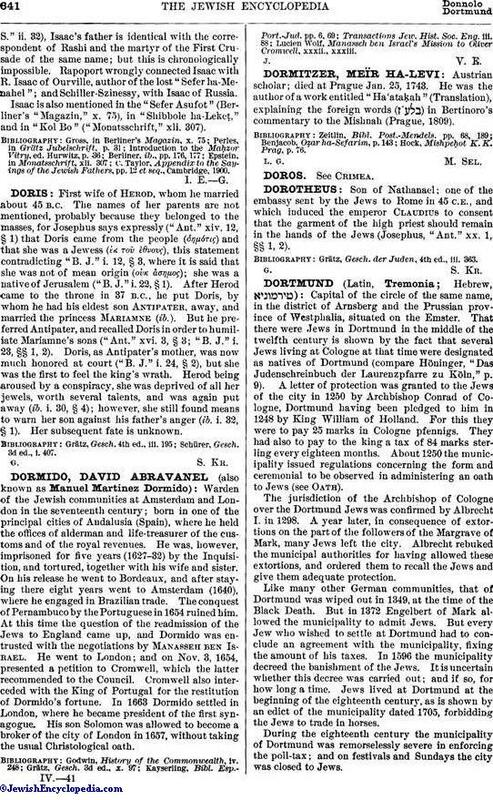 Rapoport wrongly connected Isaac with R. Isaac of Ourville, author of the lost "Sefer ha-Menahel"; and Schiller-Szinessy, with Isaac of Russia. Isaac is also mentioned in the "Sefer Asufot" (Berliner's "Magazin," x. 75), in "Shibbole ha-Lekeṭ," and in "Kol Bo" ("Monatsschrift," xli. 307). C. Taylor, Appendix to the Sayings of the Jewish Fathers, pp. 12 et seq., Cambridge, 1900.